Home / FM / Hydraulic Machine / Turbine / What is Turbine? What Are Main Types of Turbines? What is Turbine? 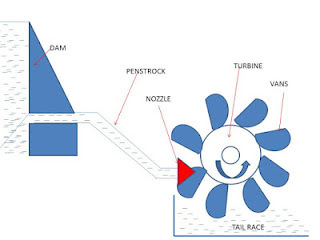 What Are Main Types of Turbines? Today we will learn about what is turbine and types of turbines used in mechanical industries. We have heard many time the word “turbine”, but most of us don’t know more about It. Turbine is a device which converts the kinetic energy of the fluid into mechanical energy. The fluid may be either water or gas or steam according to the availability. It is mainly used in power plant industries to generate electric power. It can be categorized into three types. The first one is known as the hydraulic turbine, the second one is the gas turbine and the last one is the steam turbine. Hydraulic turbine is hydraulic machines which convert hydraulic energy of water into mechanical energy. It installed at the dam or near any large water reservoir. Gas turbine uses compressed air or other gases to rotate the turbine and convert the kinetic energy of gases into mechanical energy. The last one is a steam turbine in which first water is converted into high-pressure superheated steam, which is further used to drive the turbine. In this article, we will mainly concern about the hydraulic turbine. mechanical energy is known as the turbine. Turbine is a device which converts the kinetic energy of water, air, gas or steam into mechanical energy which is further used to rotate the generator shaft. Simply turbine is a rotor which has vanes at the peripheral and connected at the end of an electromagnet or well-known generator shaft which causes to rotate it and generate electric power. If a turbine uses only the impulse energy of the fluid, it is known as the impulse turbine. The impulse energy means it uses the only kinetic energy of the fluid. In this type of turbine, first whole pressure energy or head converted into kinetic energy and this kinetic energy used to rotate the turbine. The water uses only its kinetic energy and the pressure of water remains constant at the inlet and exit of it. kinetic energy which rotate the turbine. example of tangential flow turbine. the turbine is known as an outward radial flow turbine. 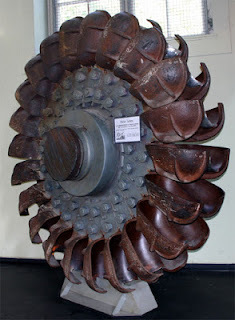 example of an axial flow turbine. turbine is called a mixed flow turbine. Francis is the example of mixed flow turbine. Today we have learnt about what is turbine and types of turbines. If you have any doubt regarding this article, ask by commenting.